I do encourage you to use Microsoft Word. It’s not cheap, has an annoying tendency to try to think for you, is bloated with too many difficult-to-turn-off features and long menus with cryptic choices—but it’s the standard. 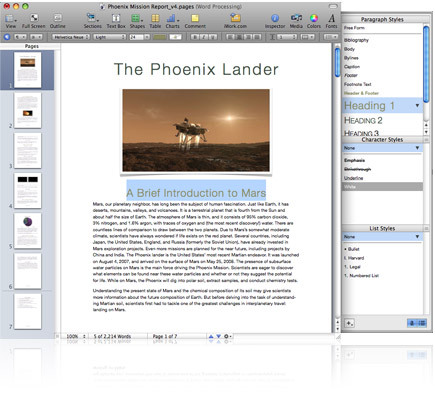 It has excellent spelling and grammar check features and a suite of essential editing and annotation tools. Annotation tools allow an editor to make changes in the document without destroying the original text. Each edit has its own comment bar with an option to accept or decline each suggested change. For a somewhat dated, but still quite useful introduction to document annotation, see this tutorial PDF by Bill MacKenty. If price is a barrier, consider downloading Open Office, a free, open source suite of applications that emulate the functionality of Word, Excel and Powerpoint. Available for Mac, PC and Linux computers, the user interface isn’t quite as slick as Microsoft’s, but the functionality is there and the applications read and write Microsoft Office files. 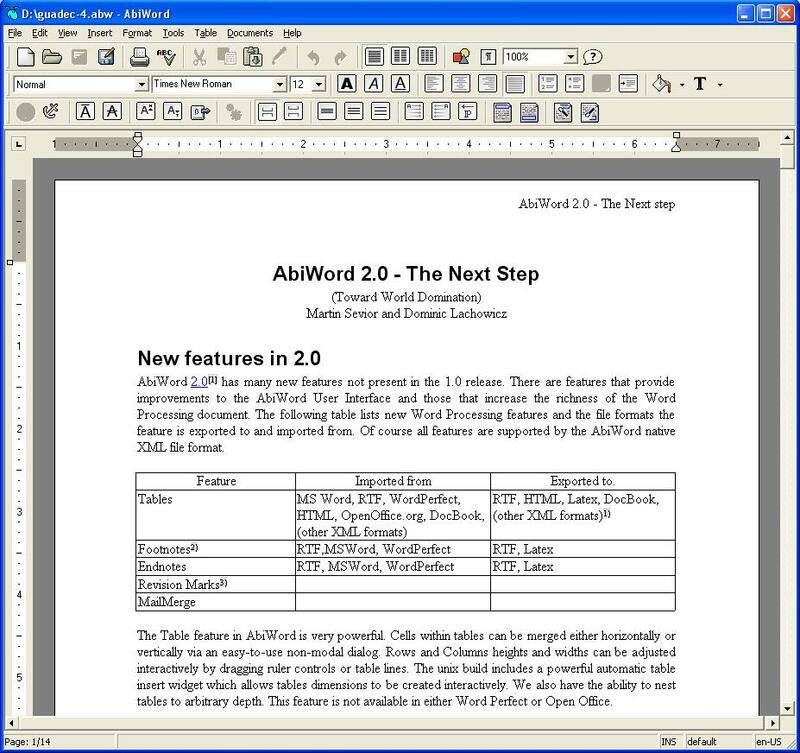 Another option is Buzzword™, an offering from Adobe available at http://www.acrobat.com Buzzword is an online word-processor available within your web browser. It has a fairly basic set of tools, but has an extensive range of import and export formats (including ePub for eBooks) and does allow for the insertion of comments for primitive annotation. Its greatest advantage, besides being free, is that your documents are stored on Adobe’s servers where you don’t have to worry about losing them to file corruption or drive failure. Moreover, you can share documents with collaborators. I have a number of students who rely on acrobat.com for presentations. There are never any issues with missing typefaces or incompatible versions of PowerPoint because the presentations are saved online along with documents used for handouts, etc. If there’s an internet connection, everything else just works. Google Docs is another online word processor. 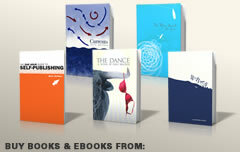 It doesn’t offer fancy formatting, but will export to Word, PDF, Open Office and a number of other formats. Comments can be inserted and as with Buzzword™, your documents are stored safely on offsite servers. Grant access to specific people for collaboration. 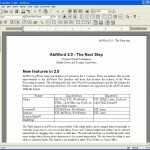 AbiWord is a free, open source Word alternative available for a variety of computer platforms though most recent versions are Windows and Linux-based. If you’re on a Mac platform, Apple iWork™ offers easy-to-use versions of Excel (Numbers), Powerpoint (Keynote) and Word (Pages). The spelling and grammar check in Pages is not quite as robust as in MS Word, but iWork applications are versatile and intuitive. 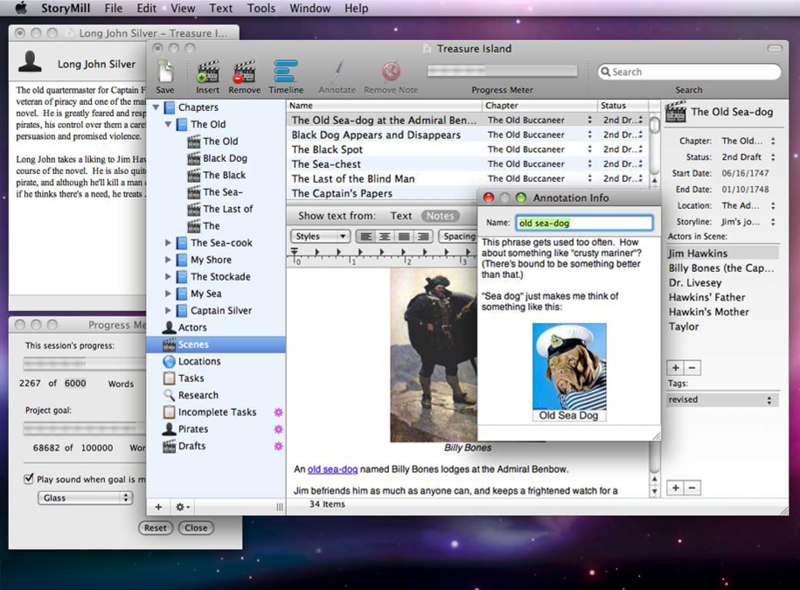 Consider also using writing software like StoryMill for the Macintosh from Mariner Software and Idea Weaver for Windows. 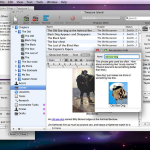 These applications enable you to bundle notes, settings, research, characters, timelines and chapters into one document with a word processor-style interface. 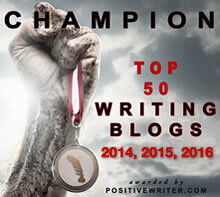 They generally lack the sophistication of a full-blown word processor, but are wonderful organizing tools that can be used in the early stages of writing a manuscript. 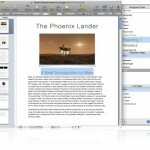 A free alternative for Windows is yWriter. 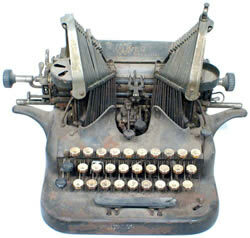 A web search will reveal a number of Word Processing Alternatives and writing applications. Whether you spring for a commercial package, download an open source application or use an online service, there’s never any need to write in a text editor and send raw text via email. Free access to a real word processor is as close as your browser. 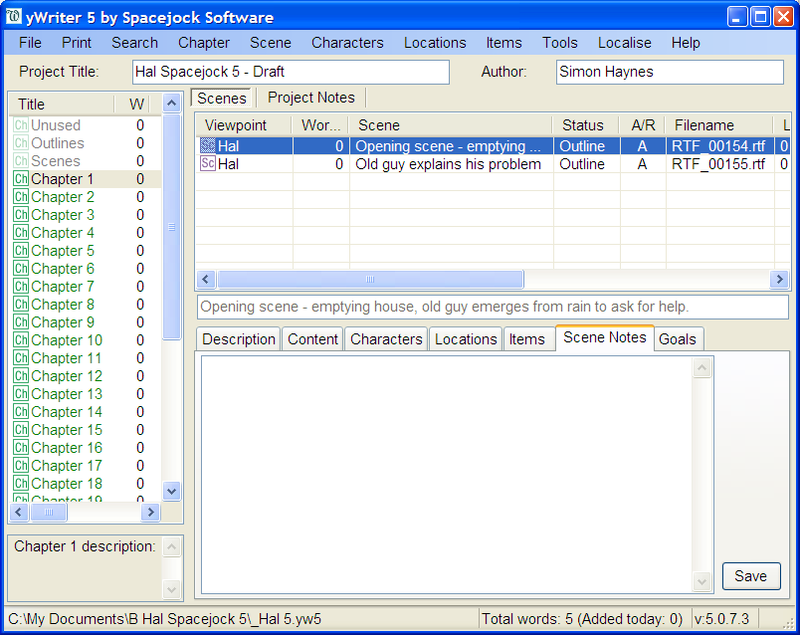 Scrivener and its competitor StoryMill are both excellent tools, but I think of them more as content organizers than as Word Processors. When I wrote The Blue Monk, my sailing memoir, I used a StoryMill document to hold about 50 different short stories and a lot of research (links, photos, etc.). After I got them written, I was able to drag and drop them into he order I wanted, copy/paste elements between them (so, for example, a character’s introduction appeared only once and in the story where s/he first appears, and develop an story arc. Once I got the stories compiled into a single draft, I exported to MS Word and continued. That said, Google Docs is seeing some advancements as far as annotation tools. Because I don’t care about appearances at the word processor/editing phase, I’ll probably move more and more toward Google and farther from Microsoft’s bloated solution. Yes. It’s for typesetting mathematical equations. I wouldn’t think of it as a word processor alternative, but if you need to typeset that kind of material, it’s a great resource.